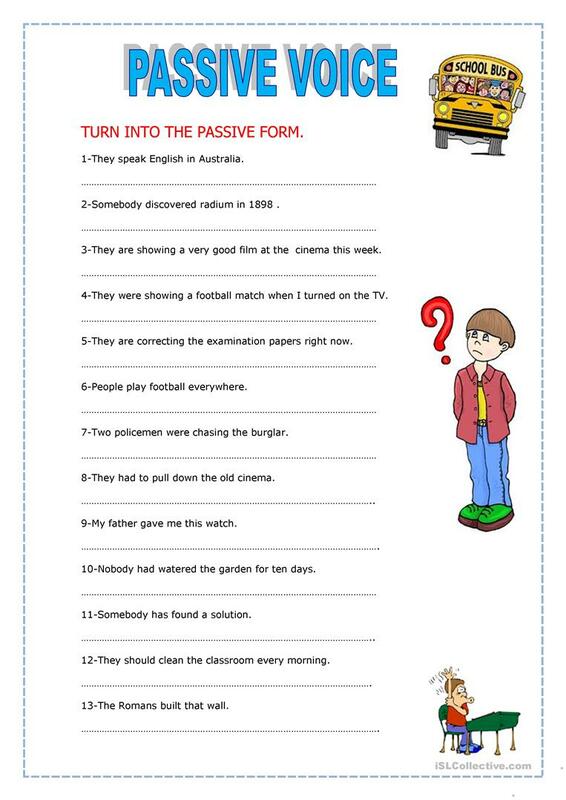 20 sentences to turn into the passive form. Can be used as an exercise or test. The above downloadable worksheet is recommended for high school students at Pre-intermediate (A2), Intermediate (B1), Upper-intermediate (B2) and Advanced (C1) level. It is great for revising Passive voice or active voice in English.